Project Detail had the chance to work on Mighty Car Mods Mini. Click to watch the demo. Paint Protection is one of the most important and polarising parts of detailing. As a whole, there is an incredible amount of misinformation and a lot of different brands and options to choose from. Project Detail is a specialist for ceramic and glass coatings in Sydney. Project Detail aims to take a different approach for all potential clients, we offer transparent advice regarding a variety of brands and aim to arm the client with the best information possible. The bottomline is that any product applied to your paintwork can be classified as 'paint protection' this unfortunately means there is scope for a lot of exaggerated claims taking advantage of the customers ignorance. Waxes - Click Here to See our Swissvax handmade wax range. Coatings in general are preferable to waxes and synthetic sealants due to there chemistry, longer lasting lifespan and superior protective qualities. Common and popular coating brands include Opticoat Pro, Ceramic Pro 9H, CQuartz Finest, Pompanazzi and Gtechniq Crystal Serum just to name the best ones. These are all fantastic options and should definitely be considered for your car. 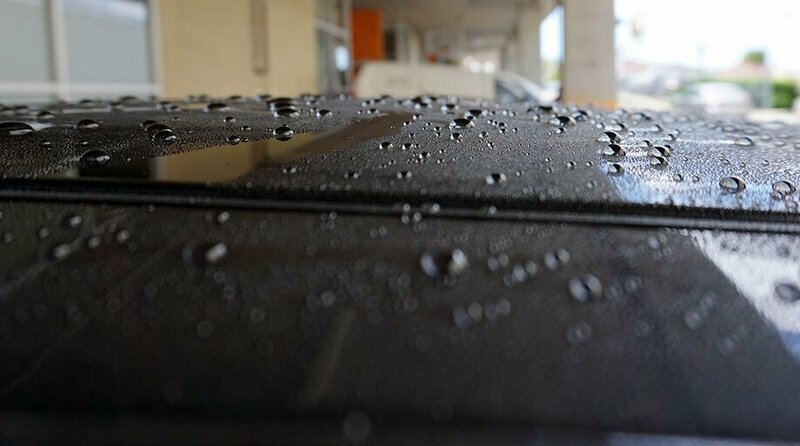 The major issue in Sydney for paint protection is that many car dealerships and some detailers are charging top pricing for synthetic sealants and waxes. These products simply do not last and are grossly overpriced. If you are unsure which option will benefit your car or would like to discuss the different brands, feel free to contact us for suggestions or advice. 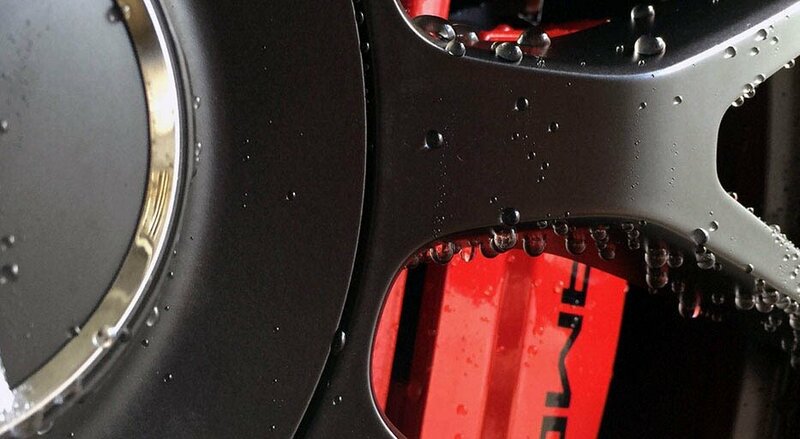 Coatings are the newest and most advanced technology when it comes to protecting your vehicle. The majority of coatings comprise of SiO2 or Silicone Dioxide which is pure Glass or Quartz. These 'glass' coatings are permanent in nature and in many elements are superior to the other forms of protection. The cost is also the a lot higher compared to a wax or sealant given the nature and work that goes into each application. 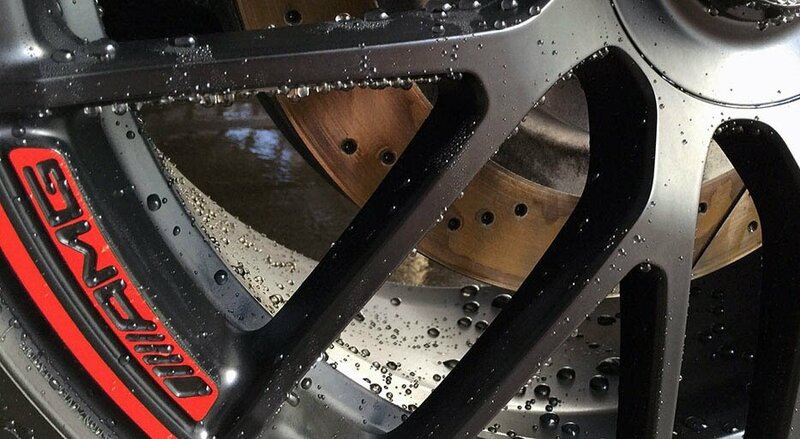 Demonstration of Ceramic Coatings working on AMG wheels and brakes. Hydrophobicity Surface that beads and where water will literally run off the surface. Intense Gloss. The surface will have added depth and clarity from the glass coating. Physical Resistance. Protect from abrasions, bird droppings, water marks or graffiti. Unlike Waxes and Sealants, the nature of applying glass coatings takes much longer as the coating needs to cure. Depending which coating, the curing time may vary and this also affects the cost. Project Detail strives to provide the best results through out quality of work but also the quality of the products we choose to use. If you would like to get in contact with us, please feel free to send us an email or click here.